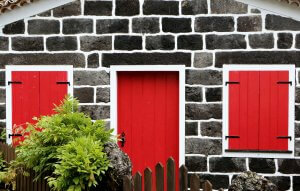 Figuring out what to do with a house that has a mortgage after divorce can be daunting. This type of question comes at a time when your life is probably in turmoil. This is just one of many questions that you have to find answers for and decisions that you will have to make, among who gets the house after a divorce, and what a divorce buyout is. Chances are you have a lot of questions, and a lot of assets to deal with in your divorce settlement and the matrimonial home is the most significant one. When it comes to the mortgage it can mean that the division of the equity in it has to be determined. Then it may mean trying to decide whether the home is to be sold. There may be liabilities regarding the home that have to be dealt with. Responsibilities for the mortgage after divorce are not something that most deal with on a regular basis so it is understandable why there would be so many questions that arise pertaining to it. One of the common questions is whether the house does have to go through a sale so the equity can be divided. There is an alternative to this where one party can buy out the other. If this is the route that is taken, usually the spouse that is going to buy the home will have to go through a mortgage assumption it so they can pay the other spouse their share of the equity. 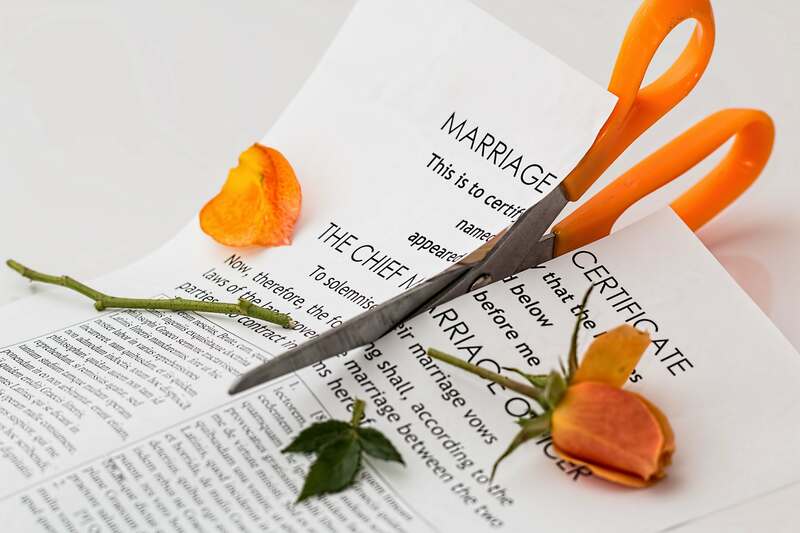 To find out how to remove a spouse’s name from the divorce, please visit this article. What has to be decided quickly when it comes to dealing with the mortgage after divorce is who is going to be responsible for paying it. Who Pays the Mortgage After Divorce? If the mortgage has been held jointly then legally both spouses are equally responsible for making payments. If the mortgage is not paid the lender can come after both parties. During the divorce agreement, it should be legally determined who is going to assume the mortgage payment responsibility. There are times where agreements are made between a couple to just transfer the title to the other partner. This can be done with a quit claim deed. This means the party signing over their ownership will no longer have any claims to the property. That does not mean that the spouse giving up their rights to the property is no longer responsible for the mortgage after divorce. To prevent this there has to be a transfer of liability. This can be done by the spouse who is taking ownership by taking on a mortgage assumption or arranging for a loan modification after divorce. In most cases, the better route to take is to assume the mortgage which will then have the responsibility for paying it moved over to the spouse who is going to keep the house. This will only work if the spouse applying for the mortgage assumption meets the criteria put in place by the mortgage lender. If this is the case then it may be possible to obtain a home equity loan for refinancing. What if There is Not Enough Equity in the Home? Not every couple going through a divorce is going to realize a profit from the sale of the home, and that selling it will clear off the mortgage. There are times where the value of the home is lower than the mortgage. 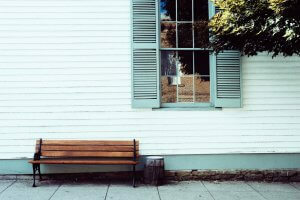 If the buyout partner cannot qualify for a loan modification after divorce or come up with other ways to buy the house it creates a difficult situation. What could possibly be arranged is putting off the buyout or selling the house. It means an agreement would have to be reached to this effect by the two spouses. If this cannot be done then the next alternative may be a short sale. If a short sale is being contemplated to deal with the mortgage after divorce, there have to be some negotiations made with the mortgage lender. This means that the house would have to be sold for less than the amount of the mortgage. While the mortgage lender is losing money with a short sale this option helps to relieve a lot of the hassles that the lender would likely have if they were to foreclose and sell the house themselves. It can also mean that the mortgage after divorce that is subjected to a short sale will still leave both spouses with a liability. The lender may hold them responsible to pay the difference owing on the mortgage after divorce sale. Overall most feel that this is still a better option than dealing with a foreclosure. Dealing with the mortgage after divorce issues can be really stressful. It may be that the housing market is just not right to consider a sale of the property. Although both parties want to bring some closure to the situation it may be far better financially for both to hold onto the house and sell it when the market is right. Making this type of decision is all going to depend on the current financial positions that both spouses will find themselves in after the divorce. Another reason that many would rather deal with a mortgage after divorce is if there are children involved. There has probably been enough turmoil in the family and it’s a better option not to have to uproot the children from the home they are used to. There are a lot of decisions to be made and some substantial work ahead of the spouse who is trying to buy out the house. However, it may be worth it when everything is properly considered. It is also important to rely on the right resources. Both parties should have their own divorce lawyers to assist them with writing up the agreements, and to ensure both parties are protected when it comes to the mortgage for the family home. If the house is going to be sole then relying on a reliable and trustworthy realtor is important. 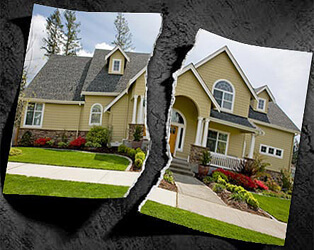 If re-financing the mortgage after divorce is viable then finding the proper lenders is going to be a priority. It may be based on the financial situation that holding onto the house in both names for a period of time may be the better solution. It is important that all options be carefully considered. If you are trying to sell your Seattle house after a divorce, Good As Sold Home Buyers will give you a cash offer as soon as 24 hours! To get your cash offer, or to get answers to any questions you have, call us at (425) 366-7574. There are no obligations in contacting us!